As useful as a certain tool may be, if you don’t have it with you exactly when you need it, it’s not much of a use, is it? But you also cannot drag a toolbox with you at all times, so that’s not a solution obviously. This is what puzzled the young engineer Tim Leatherman, back in 1980 and that’s how the invention of the multitool came about. This is no doubt a very useful little ally you can include in your EDC (Everyday Carry) and if you decide to get one for yourself, there are a couple of things you ought to know beforehand. Brands play an important role when it comes to how much you can actually expect from the multi tool. There are many poorly made imitations and therefore the best thing to avoid spending money on such is to go with well-known tool brands such as Leatherman, Gerber and SOG. Now with that little warning out of the way, let’s see what you should look for in a multi tool. 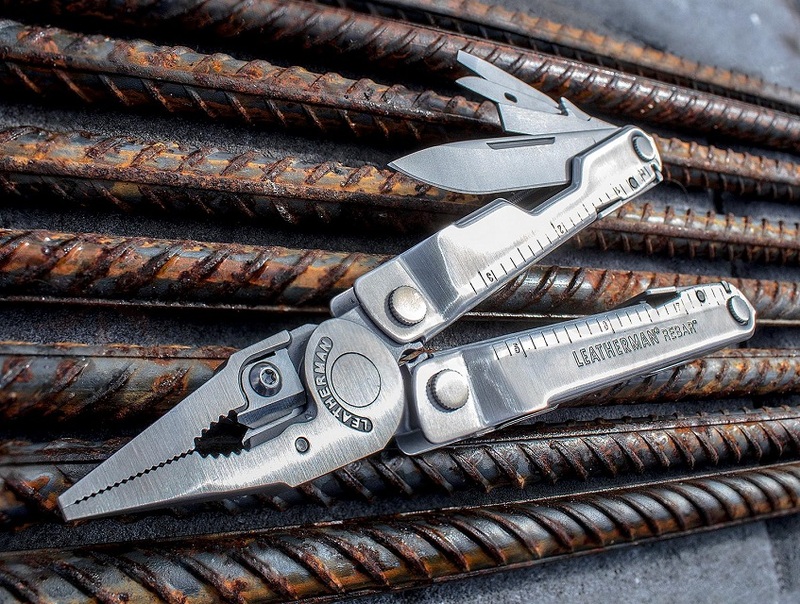 If you need a sturdy tool for jury rigs or small repairs, then the Leatherman rebar multi tool would definitely do. This multi tool features has many useful bits, including needlenose pliers, wire cutters, electrical crimper, wood/metal file saw screwdrivers and openers. It sets the standard for larger multi tools and it can be used by farmers, plumbers and it has also seen military use with medics and the military engineer service. When it comes to size, some people simply don’t want to carry around a large hunk of metal in a pouch stuck to their belt. This is why there are smaller options on the market that aren’t as big as the Leatherman rebar multi tool but also aren’t as jam-packed with useful tools. But what is useful to who is a relative question. In the light of this fact, make sure you think about the following three things before making the final decision: Is it simple? Is it useful? Is it sturdy and long lasting? If the answer to all three questions is yes, then you have the right tool in sight. However, you should always remember that multi tools aren’t a substitute for real tools. While they can be used for a quick fix or an emergency, for many situations, you’d need to bring out the toolbox. But their purpose is so that you have something with you that you can use at all times in various situations and remain in some cases relatively in others completely prepared.